EVERGREEN, COLORADO – A considerable amount of time has passed since guest blogging was first introduced and Millionairium recently posted an article going over the benefits. If you want to know more on the right and wrong way to go about guest blogging, here are some of the best tips based on my experience. Guest blogging gained immense popularity after Google rolled out its Panda and Penguin updates. In the post-Penguin era, guest blogging or guest posting has emerged as one of the most effective ways for webmasters to build a solid backlinks profile. Though writing posts for someone else’s blog helps you build links the natural way, there are several other benefits that you can achieve through guest blogging. Guest blogging specifically helps drive more traffic to your website or blog, gain brand exposure, build credibility, increase the number of email subscribers, network with other niche bloggers and connect with already-established online communities. As a matter of fact, guest blogging has immense potential for benefiting you personally, business-wise and academically. It’s also one of the best services a writer can offer businesses looking to reach the top of search engine results since a guest blog can be created on their behalf. To get the most out of your guest blogging efforts, however, you need to acquaint yourself with the right and the wrong ways to go about it. It’s easy to make mistakes while writing as a guest blogger. Sadly enough, there are a lot of people who are spamming the web in the name of guest posting. The worst part is that they are actually ruining their brand reputation as well as their own by doing guest blogging the wrong way. If you don’t know, guest blogging is a process that allows you (i.e., the guest author) to publish articles on someone else’s blog. The wonderful thing about this online marketing tactic is that it builds a bridge between the guest writer and the host blog-owner, creating a win-win situation for both parties. “Guest blogging is a process in which a blog or website will accept and publish content written by another. The relationship between the guest writer and blog is mutually beneficial, as both are able to gain advantages from the exchange. While the blog is able to take advantage of quality content, the guest blogger can gain from benefits that positively influence their own site,” says Miguel Salcido, an organic SEO consultant from Greater San Diego Area, Calif. There are plenty of blog-owners (belonging to different niches) that invite guest authors to write for their blogs. To start publishing posts on someone else’s blog, you need to approach the blog owner with an email pitch, get the approval to write and then submit a top quality article for review. If your submitted guest post abides by the host blogger’s guest posting guidelines, you can be sure to see your article (along with your site’s link in the author bio) go live as soon as possible. What Guest Blogging is NOT! In order to be able to differentiate between the right and the wrong ways of guest blogging, it’s important to know what guest blogging is not. Even today, there are a lot of webmasters, web property owners and online marketers who have failed to understand the essence of guest blogging, in the truest sense of the word. They make a huge mistake of approaching the entire process of guest blogging with a wrong mindset, which will only lead to trouble. As soon as you start to look at guest blogging as a magic tool to build tons of links overnight, you’ll start to get the entire thing wrong. When you are desperate to build links and lots of them, you also begin to crank out low quality posts one after another. And that’s where the whole essence of this effective online marketing tactic is lost. If not done appropriately, guest blogging can easily turn into spam. Google already has too many algorithmic updates in place to deal with those that spam the web in different ways. It’s most probable that Google is already looking into guest blogging, because it’s fully aware of all the different SEO tactics that webmasters use to push their sites rankings higher in SERPs. You should stop spamming not just for the sake of keeping the web ecosystem cleaner and safer. It’s best to keep away from such black-hat techniques because the reputation of your online business or brand itself is at stake. Rather than publishing low-quality guest articles incessantly, you should start to use guest blogging to build your brand, showcase your expertise, earn credibility in your niche and attract more customers to your business. If you want to be on the right track and get the most out of your guest blogging efforts, you should take a strategic approach. Know Your Goals – What do you want to achieve with guest blogging? Whether you want to generate leads for your business, attract traffic to your site, establish yourself as an expert in your niche, build a community of loyal followers or connect with other niche bloggers and industry influencers, you should know your guest blogging goals really well. Choose Authoritative Blogs – There are many signs that you can consider to decide whether your selected blog has good authority with people and search engines. Before you publish a guest article on someone else’s blog, you should check out the blog’s popularity, its quality and SE value. Focus on Quality – Many people don’t pay adequate attention to the quality of a guest article only because they are not writing for their own blog. To get the most out of it, you have to impress the host blog-owner as well as grab the attention of the blog’s audience. Quit Obsessing Over Money Keywords – Though you have every right to include links pointing back to your domain in the author bio of the guest article, you should never get obsessed with the money keyword. If you abuse anchor text, your site might fall prey to a Google algorithmic update. Have a Promotion Plan – Apart from writing top quality guest posts, you should also pay good attention to promotion. By promoting your published guest articles appropriately, you can maximize the benefits quickly. In any case, don’t ever try to buy social shares. (Tweets, Facebook Likes, Google Pluses etc.). Keep Outreach Records – One of the most important parts of an effective guest blogging strategy is the blogger outreach record should be kept. Keeping a record is essential because it makes it easier to manage the communications and track the rate of progress as you move on. Do you think you have adopted the right approach to guest blogging and are using this tactic appropriately? Feel free to comment. 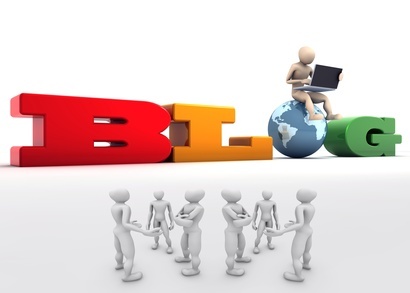 Guest blogging is gaining huge popularity. After reading this article I got some valuable information on what is right and what is wrong in guest blogging. In guest blogging quality is most important so write quality content with minimum of 500 words. Write unique guest post articles, don\’t copy the content from other articles. Good write-up. Finally, somebody speaks the truth: a lot of SEO advice out there is so bad that it even feels dirty to just think about the matter.Thanks for sharing such an informative article.